In September 2014 the final investigation for chemical soil analyses at the German test dike and pilot dike were carried out. The samples will be analysed till October and the results should show the risk potential through the applicated dredged material and changes in the contents through application, weather conditions and repeated filling and infiltration (test dike). The samples will be investigated in great extent of heavy metals and organic contaminants as well as basis parameters like pH, TOC, lime content and salt and nutrient ions in solid and eluate. The initial investigations of the materials showed already very low contents of heavy metals and organic contaminants which are below the classification values of the LAGA M20 which is applicable analogue for the application of dredged material in technical constructions. According to the origin the materials contain high contents of salts and nutrients. First results at heavy metals and organic contaminents show no significant change of the conditions in the dike constructions itself. Only the very washable chloride shows decreasing contents in the eluates. The initial investigations showed no contamination at the heavy metals or organic contaminants according to the critical values of the LAGA M20 (technical rules of the interstate working group for wastes: requirements for the reuse of mineral wastes, part II, classification values Z1 and Z1.1) and cause no potential risk for the different goods. Heavy metals and organic contaminants are chemical bounded, stable and badly leachable under the conditions in the ripened material from the IAA Rostock. The materials show higher salinity and organic matter content than traditionally used materials for dike construction founded by the origin in brackish water bodies. A discharge of heavy metals from the leachate could not be detected at the beginning of the investigation. A second investigation after the filling experiments (dredged materials saturated with brackish water) in September 2013 showed increasing contents of zinc and mercury in comparison with the first period January 2013 but still below the critical values. 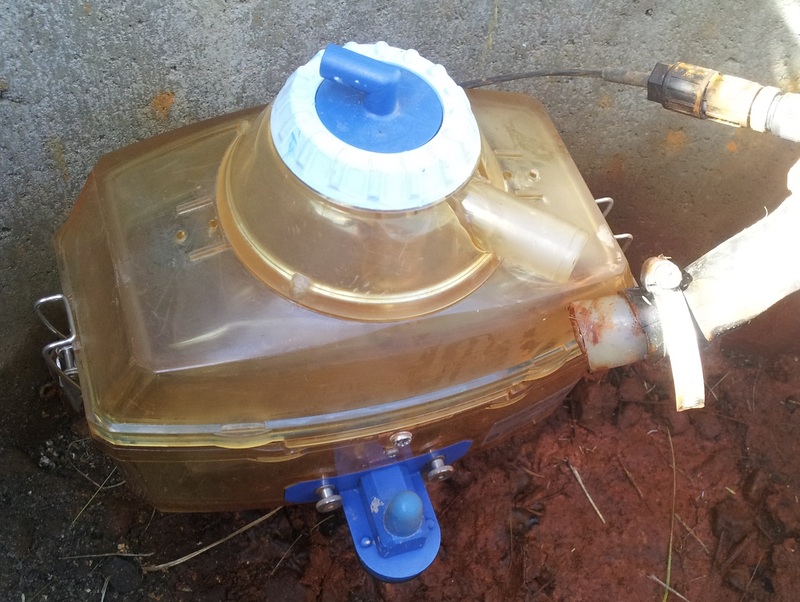 The contents of the nutrients phosphor and nitrogen – which are seen critical for the water environment – are generally at a very low level. On contrary there are a great amount of salt ions (chloride, sulfate and sodium) as well as potassium and magnesium which will be discharged from the material. All these elements are relatively easily soluble and there available contents are above the need of the plants so that the oversupply underlies the leaching. As expected the result so far show the need for the monitoring of the salt and nutrient ions if dredged material shall be applied. The heavy metals play no great role at the potential leaching. Beneath this topic there exist potential risks of dislocation of solid matter at injury of the vegetation cover which can enable the eroding water the transport of soil particles. For dike constructions with dredged material the knowledge of the construction site, the composition of the dredged material and potential affected goods is important. Consequently dike of dredged material from brackish sediments should build near the coast line so that discharging salty water can go directly with the recipient in the Baltic Sea. The monitoring of the vegetation development shows that within one year at all different deedged materials a good turf will establish. 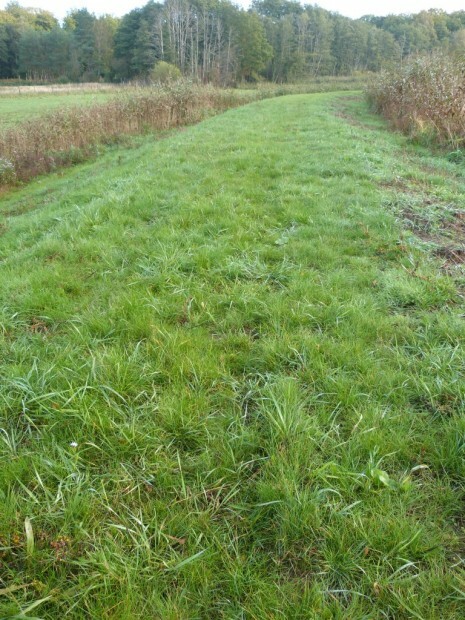 After some difficulties at the beginning during the germination, necessary re-sowing and increasing growth of weeds (confined with mowing) a thick and green vegetation cover was developed. Also in the second year after seeding the vegetation cover is close and green. Bare areas are closed within this period. All togheter a good cover ratio could reached. 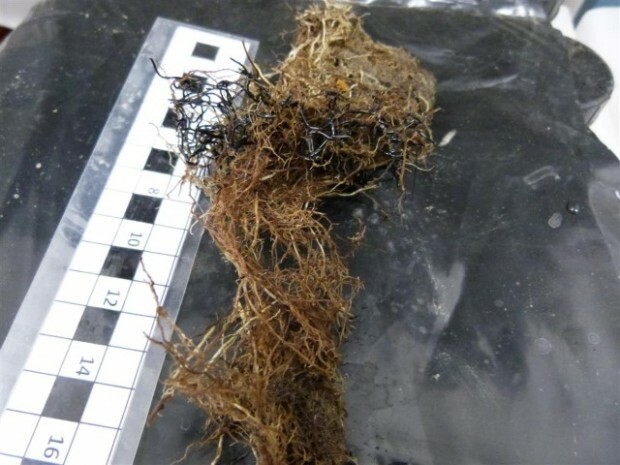 After the filling experiments a new turf could established with a certain regenaration period whereat the formation of species is changing and more weeds were discovered. In Körkwitz the pilot dike shows now in Oktober a good and green vegetation cover. In the beginning of August a first cut and removing of rests were necessary because of the increasing growth of weeds. So there are still some bare areas where the weed stood very dense. 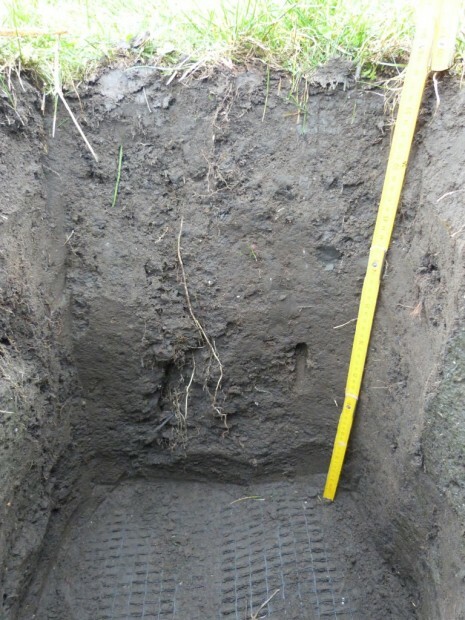 The investigated soil layers at the compaction testing fileds showed in both materials (M1 and M2) a good and relatively dense rooting in the fisrt 20 cm. Also in deeper layers the networked root systeme reached within two years after seeding. The investigation of the root density at the test dike showed also the networked root systeme in the first determined cm and a high root density over these soil horizons. Shrinkage and swelling, frost and animal activities as well as rooting stimulate the aggregation of soil. At first these processes occures in the upper cm of the soil but alter they proceed in the depth and also effect a increasing permeability.